WHAT DO YOU THINK? 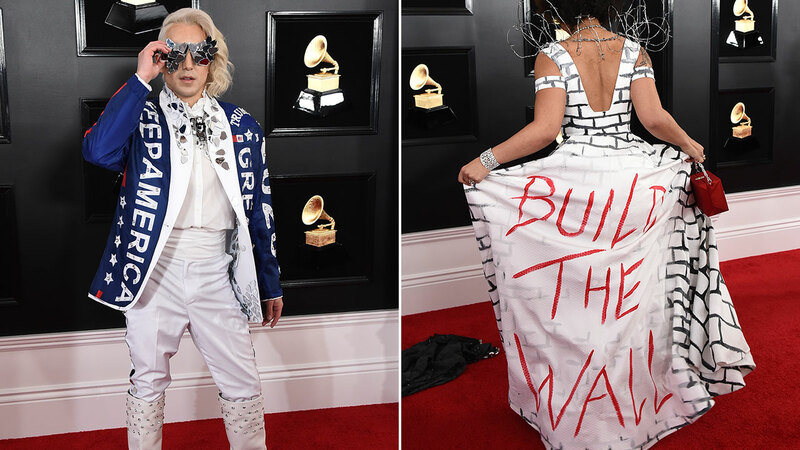 Two performers who walked the Grammys red carpet on Sunday used their fashion to make a statement. Who? They’re entertainers, their opinion doesn’t matter. Seriously though, who? That took guts as they are being ostracized by the “tolerant” left. I’ve never watched the Grammys. Just can’t get into it. However I wish I’d watched it just for these outfits. Best thing about the entire show.